Nestled along the Raritan River, New Brunswick City Center is lively, contemporary, and close to all Middlesex County has to offer. If you’re seeking it, it’s here and it’s within walking distance: first-class nightlife, acclaimed restaurants, Big Ten sports, abundant parks and recreation areas, an inspiring riverfront, and a rich arts and culture scene. Urban experts agree that one of the key attributes of a successful city is a commitment to work toward a shared vision and to build engagement between residents, businesses, and leadership at all levels. 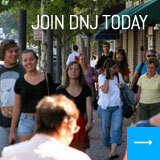 New Brunswick takes all this seriously, and at New Brunswick City Center, we put that commitment into action. New Brunswick City Market, the management company of the City Center, was formed in 1987 as the nonprofit organization that oversees the city’s Special Improvement District (SID), which includes over 400, retail, service, and restaurant establishments, corporations, and community organizations. Specifically, our focus is to promote the City Center as an exciting place to live, work and visit; and generally, to promote New Brunswick-The Hub City-as a premiere regional destination. Working to enhance the economic and social vitality of the SID through a wide range of business promotions, marketing initiatives, holiday programs, year-round special events, and activities free to the public. To aid economic development and attract investment, we also serve as a main source for data and research on doing business in the downtown area. Because appearance and décor are fundamental to attracting residents and visitors alike, we deploy a highly-visible and well-trained Clean Team that operates throughout the downtown area on a daily basis, to perform streetscape maintenance, spot-power wash and remove minor graffiti as needed. We also provide assistance to local businesses, including grants for façade and awning improvements. 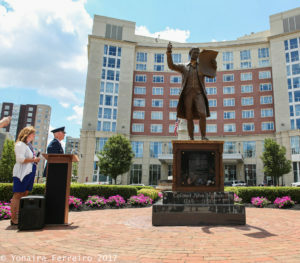 New Brunswick Public Sculptures also plays a part in making the city interesting and livable, and the first piece, a statue of Colonel John Neilson depicting the third reading the Declaration of Independence as was read in New Brunswick in 1776, was recently unveiled in Monument Square. The organization celebrates local businesses and residents, and present awards for longevity in the downtown area, for significant investments in infrastructure and improvements, and for community-focused organizations and programs. 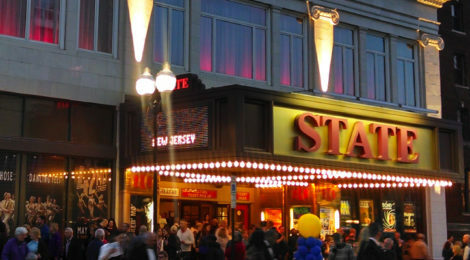 New Brunswick City Center is host to several events throughout the year that encourage residents and visitors to access the downtown with a wide array of offerings. Ciclovia is a global movement that began locally in 2013 and has expanded to two event routes three times a year, with over 15,000 participants biking, walking, running, exercising, rock climbing, and creating art along 3.4 miles of roadway that is closed to vehicles and opened to pedestrians. 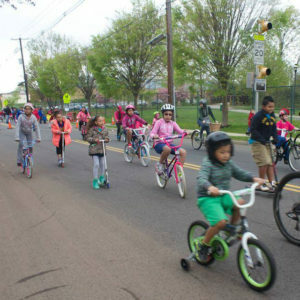 The event brings residents out to the streets to celebrate the community’s diversity through active lifestyles and a focus on health and wellness. Other summer events include live musical performances, farm market, and mid-day motion stretching during the lunchtime hours; Independence Day celebrations and fireworks; reenactments of the Reading of the Declaration of Independence and Washington’s Stand; and the Hub City Sounds Festival. July also features the New Brunswick Annual Restaurant Week(s) – billed as “A Taste of Foodie Heaven” – raising awareness of the City’s diverse range of dining options, chefs showcase their signature creations cooking-up special offers for a sizzling two-week extravaganza, July 14 – July 28, 2018. The Raritan River Festival takes place in September featuring 5,000 rubber ducks dropped into the River for the Duck Race, along with the Central Jersey Jazz Festival, and the excitement surrounding Big Ten Football at Rutgers University. Later in the fall, it’s Oktoberfest, with distinctive brews in the beer garden, live music, children’s craft zone, plus an array of food and craft vendors. To round off the year, in December we host the Annual Tree Lighting, Horse Drawn Carriage Rides, a Holiday Market and the New Year’s Eve Fireworks display, among other popular events. There is a palpable sense of excitement in the air in the City nowadays, thanks to several development projects that will transform the downtown area. Chief among them is the $172 million New Brunswick Performing Arts Center, consisting of 25 stories and set to open in 2019, a massive project that will house the George Street Playhouse, the Crossroads Theatre Company, the American Repertory Ballet, the New Brunswick Cultural Center, and the Mason Gross School of the Arts, as well as over 200 mixed-income housing units and a 344-car parking garage. Additionally, in an announcement back in March, Governor Phil Murphy outlined his support for a prospective development project in New Brunswick called “The Hub”, in a 12-acre site downtown that would serve as a science, innovation and technology center, in collaboration with Rutgers University and local businesses, especially those in the medical, technology and pharmaceutical sectors. Although no firm details exist yet, the project has the potential to create a significant number of jobs and attract further investments that would have a positive impact for the local and regional economies. New Brunswick, one of the fastest growing cities in the State, is ready to welcome the future with a shared vision and engagement between residents, businesses, and leadership, and New Brunswick City Center will be there to support those efforts every step of the way. For more information, visit us at www.newbrunswick.com, follow us on Facebook and Twitter @nbcitymarket, or call us at 732-545-4849.